There will be a 4th Whissendine Craft & Produce Show in 2019 on Saturday 17th August. 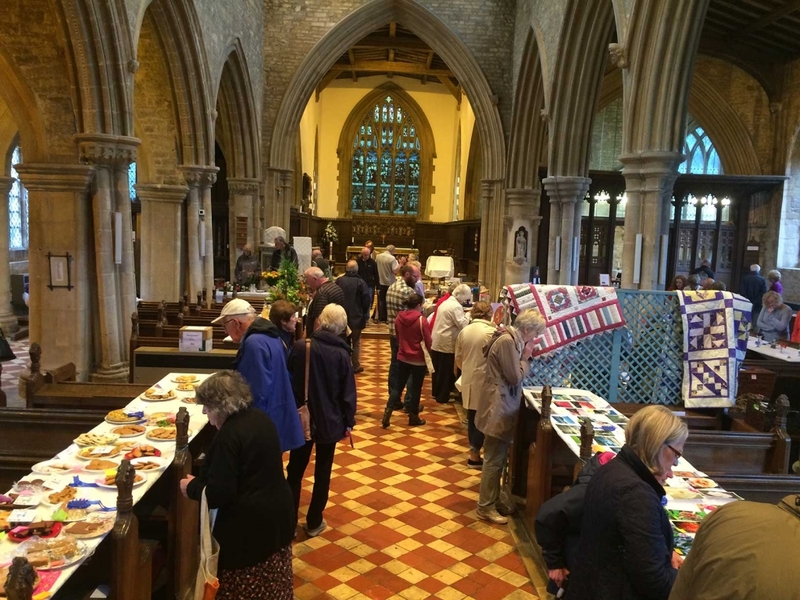 A little earlier than usual to avoid clashing with the Whissendine Flower Festival that is due to take place on the August Bank Holiday weekend (23rd – 26th August). The 2019 Schedules will be delivered towards the end of January 2019 to give all exhibitors plenty of time to prepare. Spare copies of the schedule will be available from the end of January at the church and the village shop should anyone wish to pick up a copy. The classes for the 2019 Craft and Produce Show are shown below. All exhibits in section 1 & 2 must have been grown by the exhibitor. Always bring extra items and choose the best when staging your exhibit. If a class asks for more than one item remember the judges will be looking for condition and uniformity (shape, size and colour). Check that you exhibit the correct number of items required in the class description. All vegetables should be lightly washed as appropriate. Only exhibit items that are free of disease and\or pests such as aphids. All exhibits are fresh, cut flowers and must be grown by the exhibitor. The container forms part of the exhibit and will be judged accordingly. All items must be home baked. Paper plates available if required. Containers must be clear glass, labelled with contents and date. Tops can be screwed or cellophane but not both. Remove waxed circles. Bottles must be easily opened for judging. The crafts must not have been previously exhibited in any show. Crafts are judged on material choice, skill and presentation. 58 Item of wicker work using willow, rushes, twigs, cane etc. Art work must not have been previously exhibited in any show. Unframed art work must be in a mount but need not hang. Flowers and foliage used in arrangements may be bought and may be fresh, dried or silk. Photographs must not have been previously exhibited in any show. All photographs must be 18cm x13cm (7’’x5’’), with no additional mounting or frame. Age to be stated on the entry slip and will be taken into account when judging. Paper plates are available if required. • Age to be stated on the entry slip and will be taken into account when judging. • Exhibits presented on a provided paper plate if required by the class description. Every month in the run up to the Craft & Produce Show, the organisers will share hints and tips relating to one of the classes in the show. Check back each month for more tips below. Thank you for your great support in making the show a success in 2018. It is wonderful to see so many people taking part. Who knew we had so much talent in the village?! What is special is that this is a community event and not a fundraiser for any organisation. The committee seek sponsorship to cover the annual running costs to supplement the entry fees. We are fortunate to have the loyalty and commitment from our sponsors going forward. Our largest public building is the church and should we have any surplus funds, a donation is made to the church by way of thanks for the loan of the building, which is much appreciated. The committee try to keep running costs to a minimum whilst also using your valuable feedback to make improvements to the show. The judges are all from outside the village, giving their time freely, and providing a fresh perspective when reviewing the exhibits. Looking back, we believe that there must have been Craft & Produce shows in the village back in the 60s, 70s & 80s etc many years before it was revived in 2016. With this in mind, the committee would like to hear from anyone that has any information on shows from many years ago. I do hope that you will continue to support the show. The 2019 Schedules will be delivered towards the end of January 2019 to give all exhibitors plenty of time to prepare. (Spare copies of the schedule will be available from the end of January at the church and the village shop should anyone wish to pick up a copy). It may seem a long time until you will be enjoying your summer holidays, but now is the time to be thinking about which classes you would like to enter. The schedules have been delivered, so have a peep at the junior classes. We have made some changes this year. You could try making something out of re-cycled materials, design a team sports kit or grow a sunflower. We have kept the old favourite – decorate a paper plate – this has been so popular and attracts many entries. If you are away, don’t worry, someone else can enter 4 items on your behalf. Don’t forget, every youngster that enters will receive a rosette and you never know, you could win the Junior Shield award!